United Way of Pioneer Valley (UWPV) is proud to announce the second annual Grand Friends Day coming up on April 19, 11:30am-3:00pm. The event, which will be hosted at the South Hadley Council on Aging, brings youths and seniors together for an afternoon of technological training, and intergenerational comradery. 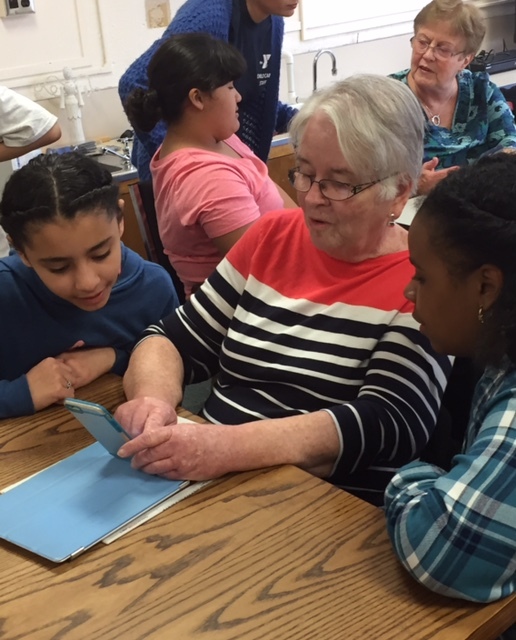 Students from YMCA of Greater Holyoke will visit the South Hadley Council on Aging, where they will help seniors learn how to better operate smartphones, and navigate ever-evolving social media platforms like Facebook. The event is organized by UWPV’s Youth Generate, a volunteer program design to empower young people to effect positive change in their community. By encouraging participation and volunteerism at an early age, Youth Generate showcases the impact people can make when they work together. UWPV, through Youth Generate and other programs, is committed to education, volunteerism, and uniting the community. Grand Friends Day is a demonstration of United Way’s core principle, that a community is at its best when its individual members are enabled to come together and share their strengths, skills, and resources with those who would most benefit from them. Visit our event page on Facebook to let us know if you're planning on stopping by.